Charles Schwab & Co., Inc. ("Schwab") is a registered broker-dealer, and is not affiliated with any advisor(s) whose name(s) appear(s) on this Web site. BF/Anderson is independently owned and operated. Schwab neither endorses nor recommends any particular advisor or investment strategy. BF/Anderson provides investment advisory services for your account. Schwab has agreements with BF/Anderson under which Schwab provides BF/Anderson with services related to your account. Schwab does not review the BF/Anderson Web site, and makes no representation regarding the content of the Web site. The information contained in the BF/Anderson Web site should not be considered to be either a recommendation by Schwab or a solicitation of any offer to purchase or sell any securities. Notes and thoughts from our director. What is a Secular Bull Market? Who is the Ideal Client? Is there an Ideal Investment? Why do people so commonly see the investing world so wrongly and become so error prone? Legendary money manager Ken Fisher outlines the most common-and costly-mistakes investors make. Small cap stocks are best for all time. Bunk! A trade deficit is bad for markets. Bunk! Stocks can't rise on high unemployment. Bunk! Many investors think they are safest following widely accepted Wall Street wisdom-but much of Wall Street wisdom isn't so wise. In fact, it can be costly bunk. 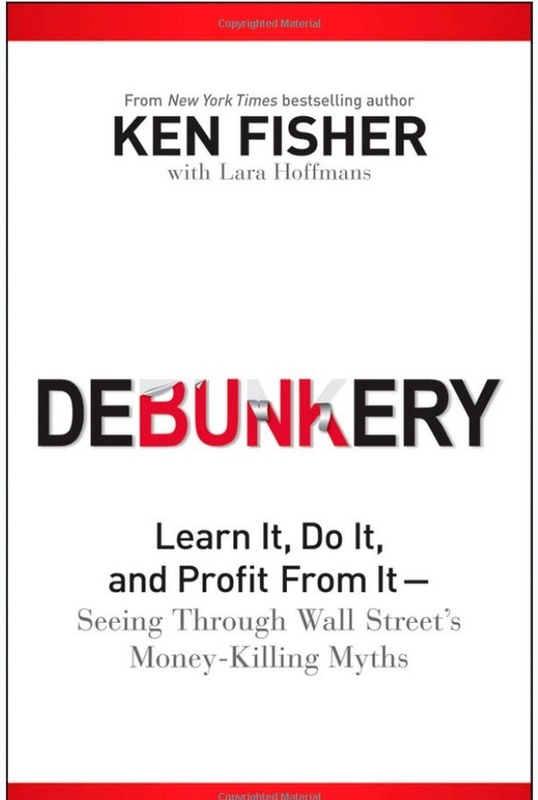 In Debunkery: Learn It, Do It, and Profit From It-Seeing Through Wall Street's Money-Killing Myths. by Robert G. Hagstrom, Jr. Starting with $10,000 in 1956 and today worth some $8.5 billion, with significant holdings in Coca-Cola, Capital Cities/ ABC and the Washington Post Company, Omaha, Nebr.-based Buffet is a major player on Wall Street. 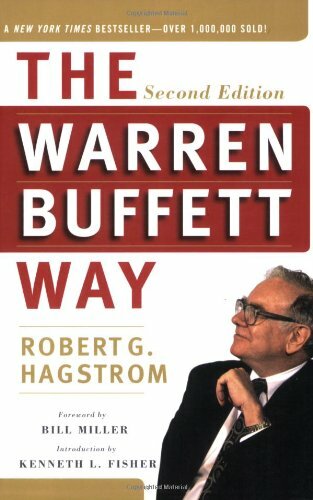 Financial consultant Hagstrom, who did not interview his subject but obtained permission to quote from his Berkshire Hathaway annual reports, here outlines Buffet's iconoclastic tenets for investing. Unlike many entrepreneurs who take over companies to sell them off in bits, Buffet buys and holds. He rejects the "efficient market theory"; he doesn't worry about the stock market; and he buys a business, not a stock. He manages with a small staff, no computers and a "hands off" strategy. 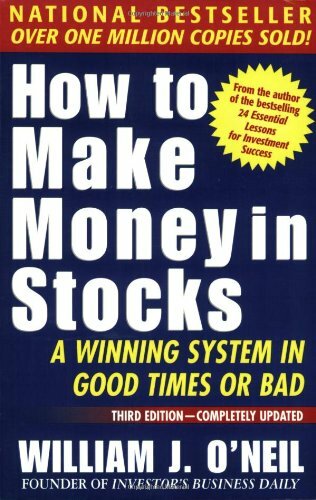 The techniques in How to Make Money in Stocks are hardly revolutionary, but therein lies their strength, as O'Neil claims his is "a winning system in good times or bad." Investors interested in Net stocks might be disappointed--the author's first rule is that a company must show a pattern of growing profits, which disqualifies many dot coms. O'Neil's approach to stocks is, above all, rational, and he pays little heed to market hype. In The Battle for Investment Survival, the turf is Wall Street, the goal is to preserve your capital at all costs, and to win is to "make a killing without being killed." This memorable classic, originally written in 1935, offers a fresh perspective on investing from times past. 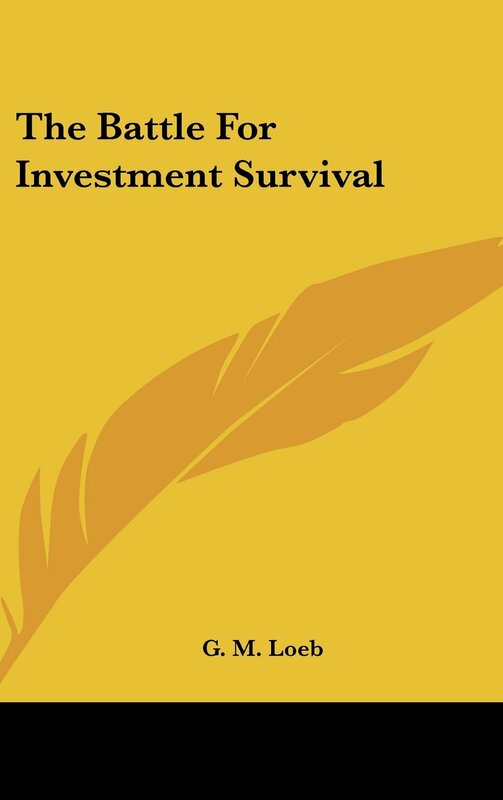 The Battle for Investment Survival treats investors to a straightforward account of how to profit-and how to avoid profit loss-in what Loeb would describe as the constant tug-of-war between rising and falling markets. 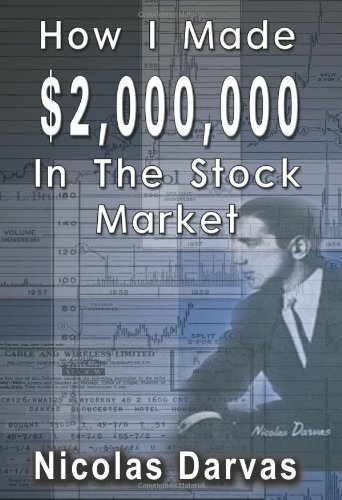 How did a world-famous dancer with no knowledge of the stock market, or of finance in general, make 2 million dollars in the stock market in 18 months starting with only $10,000? Darvas is legendary, and with good reason. Find out why. 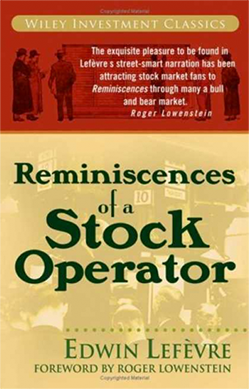 Reminiscences of a Stock Operator is the thinly disguised biography of Jesse Livermore, a remarkable character who first started speculating in New England bucket shops at the turn of the century. Livermore, who was banned from these shady operations because of his winning ways, soon moved to Wall Street where he made and lost his fortune several times over. 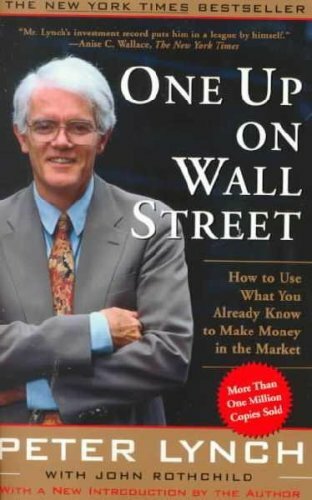 What makes this book so valuable are the observations that Lefèvre records about investing, speculating, and the nature of the market itself. Wondering if our investment approach is right for you? Give us a call. We’d be happy to sit down over lunch and discuss our services in more detail. Welcome to the Website of B.F. Anderson & Company, Inc.
Our firm is an investment adviser registered with and doing business in State of Louisiana and the State of Texas. Due to various federal, state, and foreign regulations and filing requirements, our firm and its representatives may only provide investment advisory services in those states and countries in which they are appropriately registered or otherwise exempt or excluded from registration requirements. Our firm does not render personalized investment advice or services or effect, or attempt to effect any securities transactions, on this website. The purpose of this website is to provide the public with general information about the services offered by our investment management firm. By using the BFANDERSON.COM website you agree to the terms of this agreement and acknowledge reading the warnings and disclosures provided below. You acknowledge and agree that any request for information by you is unsolicited and shall neither constitute nor be construed as investment advice by B.F. Anderson & Company, Inc. You should apply your own judgment in making any use of any content, including, without limitation, the use of any information contained therein as the basis for any conclusions. You bear responsibility for your own investment research and decisions. Prior to making any investment decision, it is strongly recommended that you seek outside advice from a qualified investment adviser. B.F. Anderson & Company, Inc. does not provide or guarantee any financial, legal, tax, or accounting advice regarding the suitability, profitability, or potential value of any particular investment, security, or information source obtained from this website. You acknowledge that B.F. Anderson & Company, Inc. or its affiliates may invest or otherwise hold interests in entities which may be referenced in any of the services or content accessible through the B.F. Anderson & Company, Inc. website. The views and opinions expressed on the B.F. Anderson & Company, Inc. website are not intended to constitute a description of securities bought, sold, or held on behalf of B.F. Anderson & Company, Inc. nor an indication by B.F. Anderson & Company, Inc. of any intention to buy, sell, or hold any security. Readers should not assume that recommendations will be profitable or will equal the performance of previous recommendations. The report on this or any page of the website is not a complete description of the securities, markets or developments referred to herein. All expressions of opinion reflect the judgment of the firm at this date and are subject to change. Information has been obtained from sources considered to be reliable, but we do not guarantee that the information is accurate or complete. Any information provided is for informational purposes only and does not constitute a recommendation. You should not treat any opinion expressed by B.F. Anderson & Company, Inc. as a specific inducement to make a particular investment or follow a particular strategy, but only as an expression of the firm’s opinion. B.F. Anderson & Company, Inc.’s opinions are based upon information it considers reliable, but the firm does not warrant its completeness or accuracy, and it should not be relied upon as such. B.F. Anderson & Company, Inc., its affiliates and/or subsidiaries, if any, are not under any obligation to update or correct any information provided on this website. B.F. Anderson & Company, Inc.’s statements and opinions are subject to change without notice. Past performance is not indicative of future results. B.F. Anderson & Company, Inc. does not guarantee any specific outcome or profit. You should be aware of the real risk of loss in following any strategy or investment discussed on this website. Strategies or investments discussed may fluctuate in price or value. Investors may get back less than invested. Investments or strategies mentioned on this website may not be suitable for you. This material does not take into account your particular investment objectives, financial situation or needs and is not intended as recommendations appropriate for you. You must make an independent decision regarding investments or strategies mentioned on this website. Before acting on information on this website, you should consider whether it is suitable for your particular circumstances and strongly consider seeking advice from your own financial or investment adviser. Commentary found on this website is sponsored Commentary created or supported by B.F. Anderson and Company, Inc. For questions about any B.F. Anderson and Company, Inc. Commentary, please contact Matthew Spencer at matthew.spencer@bfanderson.com. The views and opinions expressed in blogs are purely those of the bloggers and not necessarily those of B.F. Anderson & Company, Inc. If we claim or appear to be experts on a certain topic or non- B.F. Anderson & Company, Inc. product or service area, we will only endorse such products or services that we believe, based on our expertise, are worthy of such endorsement. Any non- B.F. Anderson & Company, Inc. product claim, statistic, quote or other representation about a product or service should be verified with the manufacturer or provider. B.F. Anderson & Company, Inc., seeks to retain the freedom of expression of its Commentary owners. However, B.F. Anderson and Company, Inc. is a registered investment adviser and is in the business of offering and providing investment advice. This creates inherent conflicts of interest insofar as our Commentary is partly designed to promote our own investment advice, services, products, and strategies. In that regard, B.F. Anderson & Company, Inc. Commentary does contain content which presents potential and actual conflicts of interest. Investment in equity strategies involves substantial risk and has the potential for partial or complete loss of funds invested. Providing you with the B.F. Anderson & Company, Inc. services and information you have requested from us, including your use of the B.F. Anderson & Company, Inc. website. We may from time to time use your Personal Information to contact you about changes, enhancements or similar notices related to the B.F. Anderson & Company, Inc. services. B. F. Anderson & Company Inc.’s primary client goal is to protect your privacy. Information reported by you on applications or other forms you provide to us Information about your transactions with us, our affiliates, or others As B.F. Anderson & Company shares nonpublic information solely to service our client accounts, we do not disclose any nonpublic personal information about our clients or former clients to anyone, except as permitted by law. B.F. Anderson & Company will internally safeguard your nonpublic personal information by restricting access to only those employees who provide products or services to you or those who need access to your information to service your account. In addition, we will maintain physical, electronic and procedural safeguards that meet federal and/or state standards to guard your nonpublic personal information. If you prefer that B.F. Anderson & Company not take your nonpublic personal information and provide it to a nonaffiliated firm, you may direct us not to make or permit such disclosures by contacting us at the following number: (225) 926-8050. HOW YOU CAN CORRECT AND UPDATE PERSONAL INFORMATION. If you need to update or correct any personal information, you may contact us at (225) 926-8050. OFFER TO RECEIVE A CURRENT COPY OF OUR ADV PART 2.